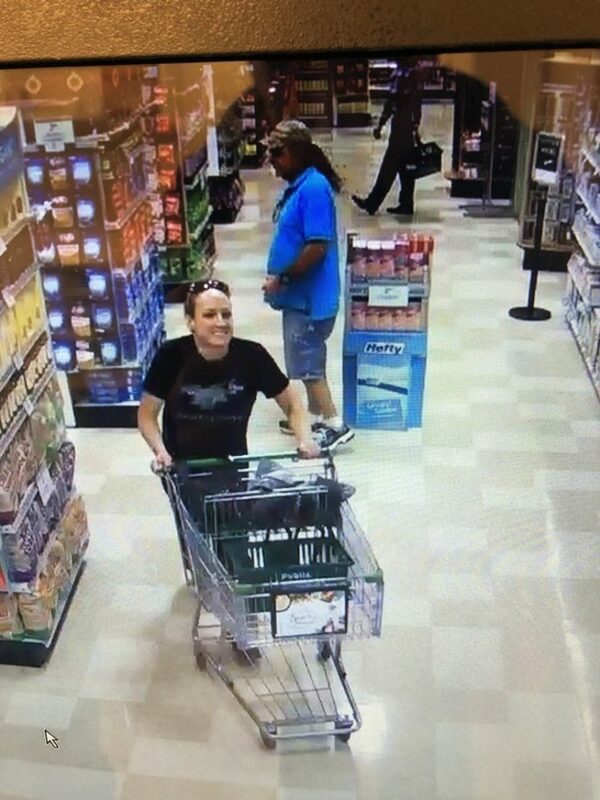 On November 29, 2018, around 3:39 PM, Cape Coral Police responded to a call for service in reference to a theft at the Publix at 1735 NE Pine Island RD. The victim stated that she accidentally left her purse in a cart as she went out to her car. Once she realized she forgot her purse, she immediately went back into Publix to retrieve it but found the cart and purse were gone. Publix video surveillance shows the female (shown below) enter the store and see the cart with the purse and take it inside. The video shows the female walk around the store for a few minutes, then go into the bathroom for a few more minutes, and then exit the store without buying anything with the purse still in the cart. The Cape Coral Police Department needs your help in identifying the below suspect.